David Accampo has pursued his creative vision as a writer, director, producer, and designer—creating and telling stories in a variety of media. He has won awards and garnered critical acclaim for his films and audio productions, including the podcast audio drama, Wormwood: A Serialized Mystery. 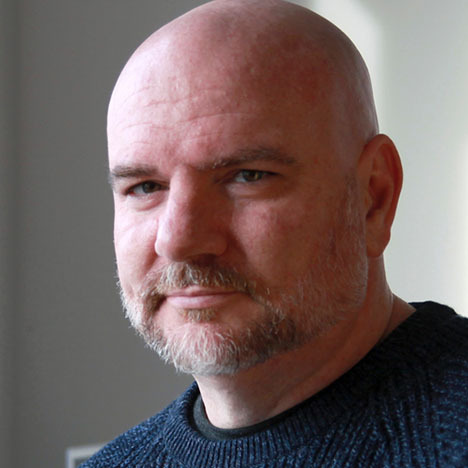 He writes comic books, including the creator-owned graphic novels Sparrow & Crowe (Hermes Press), Lost Angels (Comicker Press), and The Margins (Fanbase Press), as well as stories for other publishers, including DC Comics and Six Foot Press. His short fiction has been published in multiple venues, most recently in the anthology, Waiting To Be Forgotten: Stories of Crime and Heartbreak, Inspired by The Replacements. He is a graduate of the 2016 DC Comics Talent Development Writer’s Workshop, taught by Scott Snyder.David currently lives in Portland, Oregon. David was born and raised in Northern California and studied English and Creative Writing at San Francisco State University. His first short story, “Apartment House Blues,” was published in the literary magazine, Transfer, in 1998. After completing his degree, David moved to Los Angeles, and enjoyed career success in a variety of roles—always making the most of his creative endeavors. At Tribe Studios, David produced the satirical Hollywood commentary, “The Barbed Wire,” as well as the LOAD Media News. During this period, he teamed with frequent collaborator Jeremy Rogers to develop several screenplays, which have garnered praise from industry sources. Their science fiction thriller, “The Maitland Exhibit” was touted by Voice Over magazine as “one of the great unproduced screenplays.” Their schizophrenic murder mystery, “Cacophony,” achieved Finalist status in the 2003 Project: Greenlight competition. In 2005, David founded Habit Forming Films with Jeremy Rogers, Mary Alexandra Stiefvater, Kathryn Stiefvater, Nick Harris, and Christa Nahhas. Under this banner, David and Jeremy wrote,directed, and produced three films. Their debut film, “Bad Habits,” won a Remi award at the 2006 Houston Worldfest Film Festival and a Best Actor award at the 2007 Sacramento International Film Festival. Their second film, “The Long Road,” premiered at the 2007 FAIF Film Festival in Hollywood, CA and won an award for Best Editing. Their third film, “The Hollywood Informant,” was produced in association with The Geeworld Studios and was distributed via the Geeworld film website. In 2007, David developed Wormwood: A Serialized Mystery, a full-cast audio drama that has been hailed as “a darkly delicious throwback to classic radio theater that’s as clever as it is creepy” by Eureka co-creator Andrew Cosby and “a tasty vacation spot… if you like eating human flesh, that is” by bestselling author Scott Sigler. Wormwood swept the 2007 Uni Awards, hosted by The Sonic Society, winning every category in which it was entered. All 97 episodes are available on iTunes. In 2012, Sparrow & Crowe: The Demoniac of Los Angeles was published by Hermes Press. The book, written by David Accampo and Jeremy Rogers with art by Jared Souza, has been called, “Dark and freshly twisted” by Scott Snyder (American Vampire, Batman). The team also collaborated on the Sparrow & Crowe Halloween Special. Habit Forming Films published two prose anthologies spinning out of Wormwood and Sparrow & Crowe — Weird Winter Stories and Weird Romance. Both titles are currently available in the Amazon Kindle store. 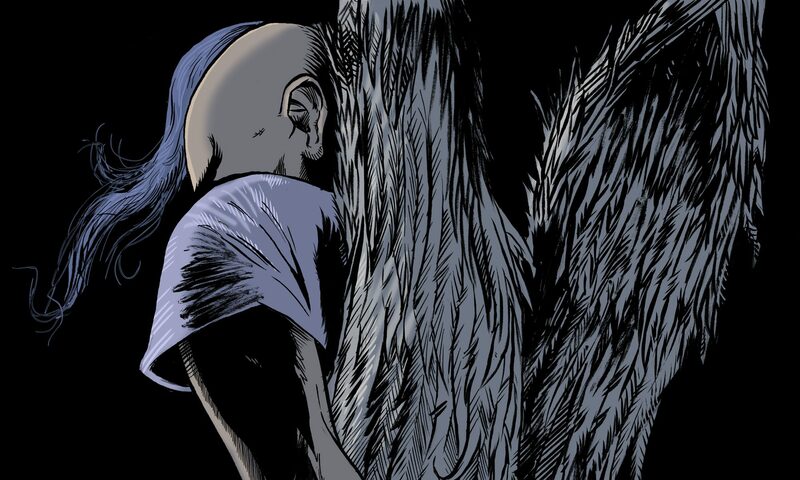 In 2015, David teamed with artist Chris Anderson to create Lost Angels, a sci-fi young adult mystery, serialized by comics publisher, Comicker Digital. In 2018, he released The Margins, an original graphic novel, co-written by Paul Montgomery and illustrated by Amanda Donahue, published by Fanbase Press. 2018 also saw the release of a one-shot, Dreadnought Legends, published by Six Foot Press and spinning out of the video game world of Dreadnought. He is currently working on Lost Angels Volume Two: The School Daze Playlist, One-Shot Horror (his series of short horror comics with Chris Anderson, as well as writing scripts for interactive mobile games and more.